Linkedin has provided an opportunity for networkers to endorse the skills of people with whom they are connected. This was meant to be a time saver for people who normally wrote full recommendations. The idea had promise. However, it is not being utilized well. When users sign onto their Linkedin profile, they are given a list of people in their network and asked if they want to endorse them for a particular skill. There is the option of being able to endorse all of the people that pop up as choices. The problem is, many people are doing that. People may receive many endorsements from people who have not witnessed some of the skills they have endorsed. At that point, the Linkedin endorsements become meaningless. It is far too easy to choose the option of endorsing people as it is currently configured. If the point was to make recommendations easier, it is understandable that there should be some way to do that. However, if everyone is endorsing everyone for everything, there is no value to the endorsement. With all of the reports about the successes and failures of IPOs in 2012, there may be renewed interest in deciphering financial reports. The follow are explanations of the four major financial statements. Income Statement: One of the most important reports for a company is their Income Statement. This may be referred to as the Statement of Income or the Profit and Loss Statement. This report shows profits and losses over a specific period of time. Balance Sheet: The balance sheet is also referred to as the Statement of Financial Position. The balance sheet displays a company’s position at a single moment in time. Cash Flow Statement: This may also be referred to as the Statement of Cash Flows. The Cash Flow Statement shows information about how money flows in and out of a business. This may be helpful in determining the viability of a company. Statement of Retained Earnings: This may also be referred to as e Statement of Changes in Equity. This statement explains the company’s retained earnings over a period of time. This will be reported under shareholder’s equity on the balance sheet. Timing may have been a factor for LinkedIn’s success. They have also seen consistent growth in unique visitors. Investors waiting for highly anticipated IPOs like Facebook may have helped increase the success of LinkedIn as well. Colin Lokey from SeekingAlpha explained that when comparing Facebook to Linkedin, fundamentals show that Linkedin is overvalued. Lokey warned, “Investors should of course, keep in mind that the fact that LinkedIn is far too expensive doesn’t mean Facebook is fairly valued at half of LinkedIn’s price.” Prices have been affected by the recent Facebook IPO. Yahoo’s Finance writer Jeff Macke did not share Lokey’s opinion on pricing when he stated, “Linkedin stock has been dragged down over the last few weeks by the undercurrent of the Facebook Titanic.” He sees LinkedIn as a “screaming buy”. 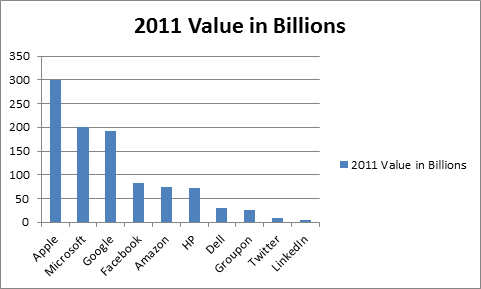 The following is a list of the estimated value of some of the top companies in 2011. They are listed in order of highest to lowest value. Microsoft – Recent estimates put Microsoft’s value at about $200 billion. Skype – Microsoft’s recent purchase assessed Skype’s value at $8.5 billion. Google – Google’s value has been estimated to be $192 billion as of January, 2011. For more specifics on this income including Larry Page and Sergey Brin’s net income, click here: Google Value. Youtube – Recent estimates put Youtube’s value around $1.3 billion. Google paid $1.6 billion for Youtube in 2006. Facebook – Facebook was valued at $82.9 billion in January and that number continues to grow. HP – Recent estimates put HP’s value at about $72.8 billion. Dell – Recent estimates put Dell’s value at about $29.3 billion. Groupon – Recent estimates put Groupon’s Value at as much as $25 billion. Twitter – It is suggested that Twitter’s value is around $7.7 billion. Linkedin – Recent estimates put LinkedIn’s value at over $4 billion. Have you ever wondered what your network actually looks like? With Linkedin InMaps, they claim you can get a map of colors to show your connections and how they inter-relate. Colors represent groups within your professional connections. It’s a way to see how you know people and visualize relationships. It sounded very interesting so I thought I’d check it out. I was unable to view InMaps through Explorer or AOL. It suggested using Google’s Chrome or Firefox but it never worked with those applications either. It just gives a never-ending processing swirl on the page. I was curious if it had to do with Windows 7 so I tried it on my Mac with no luck either. Granted, I have a lot of connections on Linkedin, but the processing swirl never stopped. Perhaps they are just having problems with the site that will resolve. If anyone has had good or bad things to say about InMaps, I’d be curious to hear about it. Quora is a social media site created by former Facebook employees. It is designed to be an interactive question and answer site. It appears to me to be like the Q&A section on LinkedIn where someone can ask a question and receive an answer in a more sophisticated way than a simple Yahoo Answers response. Unlike Yahoo Answers, users must be a member of the site to view the discussions. I like the Q&A section in LinkedIn and I think Quora has some possibilities. I will have to give it another try. I recommend reading the article in the Wall Street Journal to learn more about Quora and how to navigate within the site by clicking here. For now, I have answered questions on Quora including one titled: How do you know if you are emotionally intelligent? If you are on Quora and want to see my response to that question click here. If you are looking for a job, you probably have looked at getting on LinkedIn and some other social networking sites. If you have created a LinkedIn profile, it should show up on Google’s search engine. In some recent talks I gave to job-seekers, I asked my audience if they had Googled themselves. Surprisingly, not as many people as you may think have done this. In my book, How to Reinvent Your Career, I discuss the importance of Googling your name to see what it displays. You can be sure that employers will do this. It is nice that search engines like Google can help people find you. One way to help improve being found is to be on LinkedIn. There are other benefits to being on LinkedIn. According to a recent article in WSJ.com, “One of the least recognized aspects of LinkedIn, says founder Reid Hoffman, is the fact that it allows people to help other people.” I personally like the Q&A feature of LinkedIn for this reason. Not only can you ask a question, but you can offer your expertise and help others. I often give advice for things you can do to be found. LinkedIn is high on my list. However, if you are interested in finding out more ways to be found, check out some of my career videos. Phoenix AZ—November 11, 2010— Guidance is a powerful thing and an important thing to seek from all sources when considering career change. 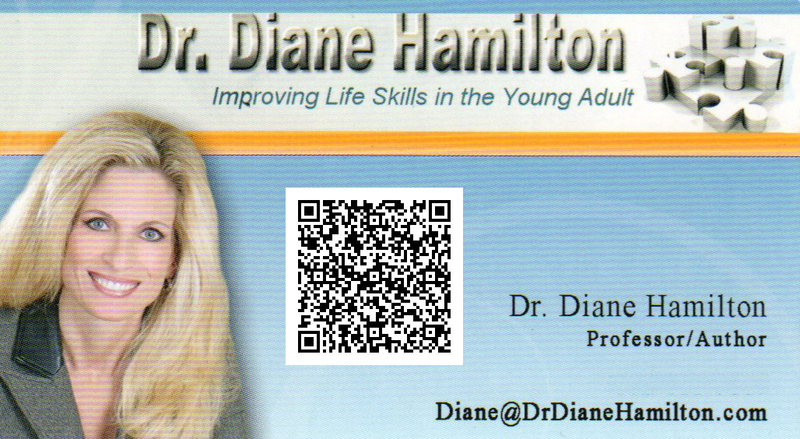 In her new book, How to Reinvent Your Career, Dr. Diane Hamilton does just that. She guides her readers through the process of self-promotion, something truly essential for landing that “dream” job. Dr. Hamilton has been advising her students regarding career opportunities for 5 years. She wants them to be marketable, relevant to the times and ultimately successful. However, this isn’t any job hunt. This is a reinvention. Readers are using Diane’s tools to find complete job satisfaction. The number one rule is when interviewing for a dream job is to understand the ability of how to show prospective employers the benefits (not to be confused with features) that you offer. Dr. Hamilton points out that Linked-in.com can be thought of as the Facebook for professionals. It is a way to get “connected” or “linked-in” with people online. New users can create a profile showcasing their unique abilities and strengths. 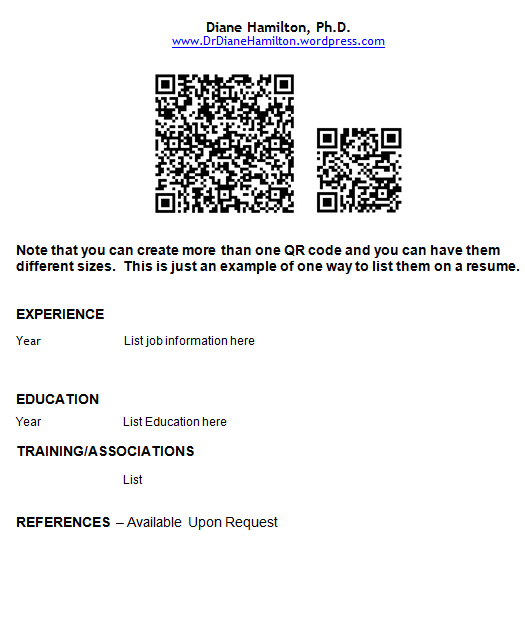 Some may see it as an online resume but it is so much more than that, as it can be tailored to emphasize your strengths and assets and be used to interact with potential connections. Once the profile is complete, it’s time to connect! It must be continually updated to obtain the maximum benefit. Just joining is not enough. You must actively participate for optimal success. Anytime a user gathers someone’s business card, it is crucial to connect with him or her the next day. Linked-in is a way to keep a database of people who could be mutually beneficial contacts for the duration of the user’s entire career. With the current job market, people are looking for unusual ways to stand out in the crowd. I recently gave a presentation at a local university where I explained the job searching tips I discuss in this article. To see that actual live presentation, click here. If you are not utilizing some of the following ways to showcase your talents to prospective employers, you may be missing the boat. Here is my top 10 list of things you need to be doing if you are looking for a job. 1. Research Top Career Sites like Monster, CareerBuilder, etc. Look for sites specific to the industry in which you want to work. For example, there are pharmaceutical-specific sites like Medzilla or higher educational-specific sites like HigheredJobs. Update your information with each of these sites and set up searches so that jobs are sent to you as they become available. 2. Utilize Camtasia and PowerPoint to showcase your abilities. If you know how to create a PowerPoint presentation, then it can be quite simple to use a software package like Camtasia to have voice-over capabilities to make your presentation have more depth. These presentations can be showcased on many different sites including your blog or website if you have one. One of the best places to showcase your talents with the final presentation product is through Youtube. For an example of one I’ve made, click here. 3. Utilize Youtube to present “you” as a viable product. If you have created a video or a Camtasia/PowerPoint presentation mentioned previously, Youtube is the place to upload it for maximum exposure. If you have a skill that is visual such as ability to work in Photoshop, you can create print screens of your work and incorporate them into your presentations. 4. Google Docs is very much like PowerPoint but it can be seen by people on the Internet as well as be imported into your Linkedin Profile. To see an example of one I have created, click here. 5. Prezi is also similar to PowerPoint in that it is presentation software. The big difference is how it displays your information. This web-based program can show things in a non-linear fashion. If you haven’t had a chance to view a Prezi presentation, check one out by clicking here. 6. Blogging is a great way to get your presence known on the Internet. Sites like WordPress are free and easy to set up. You can link your blog to several other networking sites to capture the attention of those on Facebook, Twitter and many more sites. 7. LinkedIn is probably one of the best sites you can use to get exposure to people and showcase your talents. Utilize their Q&A area to become an expert. Sign up for groups to meet others that could hook you up with opportunities. Import your Google Docs, WordPress blogs and other information to showcase your abilities. Tie your status line into Twitter to get more exposure. 8. Facebook is also an important place to network. You can create a professional page for your work or display your products that you are promoting. 9. Twitter can also be a useful way to have others learn about what you are doing professionally. Be sure you tie in your other sites links to Twitter. 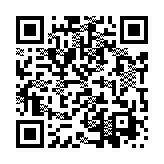 Use programs like bit.ly to shorter any web addresses to fit your message on Twitter. 10. Old Fashioned Networking is still important. Always have your business card with you. Talk to everyone you know and talk to people you don’t know. If you are sitting by someone on an airplane or standing in line to buy something, you just might find that the person you meet has connections. 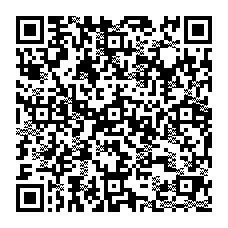 Have your business card ready! Check out the latest article by gigaom.com. It contains some very useful suggested uses for some of the more popular social networking sites. It ties in nicely with what I wrote about in my book, How to Reinvent Your Career. This article has to do more with businesses utilizing these sites. These same tactics can be used for the individual looking to be noticed. 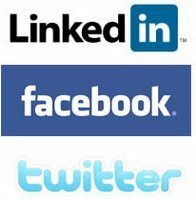 For more articles about utilizing social networking for self-promotion and career advancement, click here. 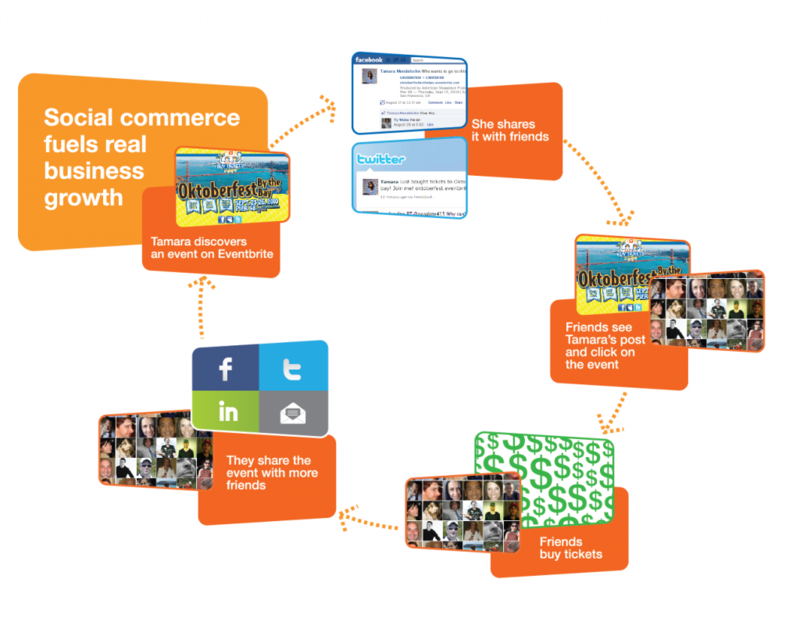 Do You Need To Control Your Social Media and Build Brand Awareness? There are many platforms out there that can help you manage all of your social media. I personally like to use Posterous at times to share content due to their Share on Posterous toolbar option. I think that Posterous is one of the easier ways to share things but you are still limited to the places where Posterous connects. 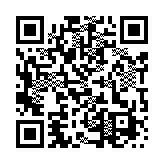 Check out my posterous site by clicking here. I know Facebook can present a bit of a challenge about when and how often to post. I don’t want everyone of my blogs to post on Facebook and overwhelm my contacts. I tend to treat Facebook as a separate entity because of that and only post specific things there. 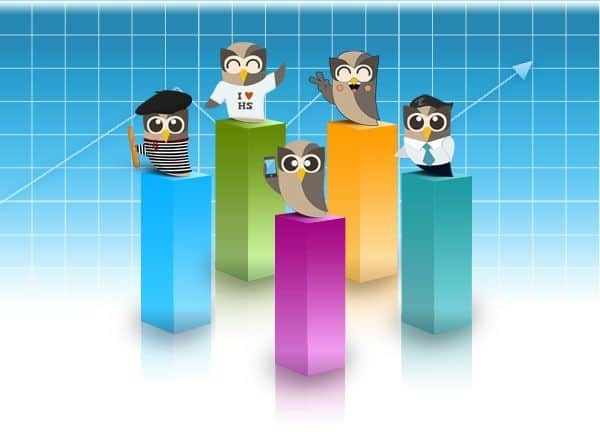 I also use some of the other social management sites like SocialOomph and Hootesuite. I know a lot of people still go to each one of their social media sites to post separately which takes up a lot of their time. I think the following article by Dana Kohlbeck on Postcrescent.com does a nice job explaining some of the platforms available that can help you manage a lot of your social media areas in one location. If you’re looking to maximize both time and reach within social media platforms, look to applications such as HooteSuite or SocialOomph. These tools allow you to update multiple accounts like Facebook, Twitter and LinkedIn from one platform, as well as pre-schedule messages for consistency and strategic time release. According to a recent business.com study, 81 percent of marketers use social media to build brand awareness. What better way to spread the brand message than to customize your social media platforms to reflect that brand? I discussed a many of these ideas in a recent radio interview with Anna Banks. It is very important to have a plan. Probably one of the biggest mistakes I see people make is to not have goals written down with clearly measurable ways of attaining those goals. One of the chapters in my book is titled “The Product Is You”. I often write and speak about how you must see yourself as the product and market your skills. Part of preparing to do that is to do a personal SWOT analysis. For those of you who have not taken many business courses, SWOT stands for Strengths, Weaknesses, Opportunities and Threats. Companies analyze these things on a regular basis. I think individuals need to do the same thing. I often write and speak to groups about how to use social networking to find a job and market one’s skills. In my book: How to Reinvent Your Career, I often write and speak about using social networking to find employment. In the marketing courses I teach, we discuss how to get that job you after graduation. A very big part of obtaining that goal is to have a plan. How can the recent college graduate, or anyone else, for that matter, utilize social media to find a job? I personally think LinkedIn is one of the best ways to get noticed. Check out their latest series of videos at students to give them step by step guidance to learn how to set up their profile, build their network and find that job they love. To find out more about finding a job and marketing yourself, check out: How to Reinvent Your Career: Make Money Doing What You Love. To find out more about online education and creating goals, check out: The Online Student’s User Manual: Everything You Need to Know to be a Successful Online College Student. With the release of my new book, How to Reinvent Your Career: Make Money Doing What You Love, I have been talking with a lot of people about ways for job seekers to get noticed. If you are currently in the market for a new job, don’t under estimate the importance of utilizing sites like Linkedin. In a radio interview I did yesterday, talk show host, Anna Banks, and I discussed the value of Linkedin for the job seeker. To listen to that interview, click here. If you have not had a chance to take full advantage of what LinkedIn has to offer, take a moment to check out some of the links provided in this article to help you increase your exposure on their site to get noticed by prospective employers. I personally also recommend considering importing presentations from Google Docs into your LinkedIn profile to showcase your talents. To see how to do this click here. LinkedIn is launching a new data-focused feature, called LinkedIn Career Explorer, that provides college graduates with insights from other LinkedIn members to help them visualize a career path. Career Explorer leverages data from the professional social network’s 80 million members to help students visualize and map successful career paths in a variety of industries. The product also shows college students job opportunities and salary information, the type of education and experience required, and will indentify people who can help them find these jobs. So students can specify a type of job that they want to pursue or the company they want to work for and LinkedIn will show professionals who have succeeded in similar endeavors. Students can also access the best contact within their networks for certain fields or companies, and LinkedIn will recommend job openings. The new feature will lead students to the Company Profiles (LinkedIn now has over 1 million profiles on the network), and encourage users to “follow” those companies to receive updates, including job postings, new hires and more. Career Explorer is currently being rolled out to students at 60 universities in the U.S. and will eventually expanded to users from other educational institutions. The feature seems fitting for the platform and will no doubt provide a unique way for college students to see the career paths of those who have reached success in particular industries. Also, Career Explorer is a way to attract college students (and perhaps even ambitious high school students) as members of the community and perhaps gain loyalty among this age group. Software giant teams with the foremost business oriented social network to sync contacts from admired Windows Live services such as Hotmail and Live Messenger. Microsoft has made a point lately of highlighting the reputation of its Windows Live services. The company swanked that it had issued 500 million Windows Live IDs as of April and just two months earlier, asserted that 300 million users had signed up for its Live Messenger IM service. Now, Windows Live users will be proficient to coordinate with their accounts on LinkedIn, the foremost social network for professionals, with a new integration that merges the contact records of the two services.Microsoft’s tie-up with LinkedIn for its Windows Live services creates on a prior partnership between the two companies that connected Microsoft’s Outlook client with the social network. Microsoft said that its Windows Live group, which creates free online consumer and small business products, is partnering with the leading business oriented social network – LinkedIn. The ties signify that Microsoft (NASDAQ: MSFT) Windows Live users will be competent to link between LinkedIn and Windows Live services such as Hotmail and Messenger in order to share contacts, activities and updates. In my book: How to Reinvent Your Career, I give a lot of tips about how to get an interview and obtain a job. Part of being successful in the interview process is to have a strong resume. Keywords are a big part of getting your resume noticed. 1. Go to web sites that represent companies and associations related to the candidate’s target industry in search of other buzzwords. 2. Search LinkedIn profiles of users who have similar jobs to see what keywords they’re using. 3. Go to association websites to see what keywords other industry professionals have used. Netprospex had an interesting article ranking the top 50 cities for social networking. For the entire article, click here. If you want to see the entire report, click here. Input a presentation from Google Docs to showcase your abilities. 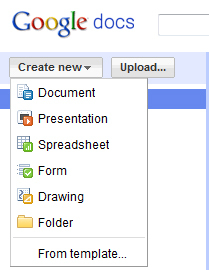 It is simple to create presentations in Google Docs that are very similar to a PowerPoint presentation. 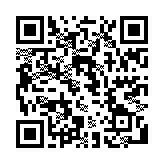 There is an application you can add within Linkedin that allows you to access the Google Docs presentation. When your contacts look at your profile page, they will be able to see your presentation. Use the Question and Answer section to either ask a question and get connected or answer a question and become an expert. If you go to the “More” tab and pick Answers, you will find this section. Then click on Career and Education. You can look for topics that may help you with your career search, ask a question or answer one. Every time you answer a question and someone picks your answer as the best answer, you get one point toward being someone listed with expertise. You will notice tabs for open questions, closed questions and experts. Becoming an expert can help promote your skills to more people and open up more job options for you. Be sure you have combined your outgoing messages your post on your home page with Twitter. There is a little box you need to check to be sure that any updates you post will not only get posted on Linkedin but also on your Twitter page. If you do not have a Twitter page, it is easy to set up and free. Just go to Twitter.com. Import your WordPress blog into Linkedin. Just as you were able to include Google Docs through adding an application, you can do the same for your blog. In this way, people will be able to see your blog on your profile page. Check out all of the extra add-on applications that are available including: Polls, Google Presentation, Blog Link, Box-Net, Portfolio Display, SlideShare Presentations, SAP Community Bio, Company Buzz, My Travel, Reading List, Huddle Workspaces, Real Estate Pro, Tweets, Events, and Legal Updates. If you have a lot of good multi-media to display, Portfolio Display would be a good addition. In a recent article by EmploymentDigest.net, the author gave 6 tips that will get you a better job. These include: converting things you love into a career, having people refer you, improving your resume, improving your skills, getting certified, and looking for more possibilities. Talk to people you would normally not talk to at stores and while you wait in lines to buy things. Avoid the creepy or scary people of course. But choose those that look like they may have something in common with you or are dressed in garb that you would like to wear for the type of job interest you have in mind. By talking to people, you open up the opportunity to exchange information and expand your connections. Always have a supply of your business cards with you. If you don’t work for a company, print up some simple contact information cards with your email, phone and any website or social networking information that you would like to share. Have an unusual way of being remembered. I used to print my business card on stickers and attach them to the top of an Altoids box of mints. I would give those away to customers that I wanted to have them remember me. Think of little things you can do to be remembered in people’s minds and present them to people you meet that you would like to work for or do business with in the future. Do something for someone else. If you help people, they will want to help you. If there is an industry you want to be in, find someone in it to help. I know a lot of people want to be pharmaceutical representatives, for example. If they submit your resume, they get paid a finder’s fee. Find out what is in it “for them” to have someone refer you. Remove any damaging information from the Internet that could hurt your chances of being hired. Remember that fun weekend you posted on Facebook? So will the person interviewing you if it is available out there. If you get an interview with someone that you can research online, do your homework. Find out all you can about them that is complimentary or interesting. People like to talk about themselves. It also shows you cared enough to find out more about them or their company.